I received this for review from Hodder for review. As always, my reviews are fair and un-bias. Cornwall, 1640: gentle young Dora Predennick, newly come to Sweetclover Hall to work, discovers a badly-burnt woman at the bottom of a flight of stairs. When she reaches out to comfort the dying woman, she's knocked unconscious, only to wake, centuries later, in empty laboratory room. Thrust into the centre of an adventure that spans millennia, Dora, Kaz and Jana must learn to harness powers they barely understand to escape not only villainous Lord Sweetclover but the forces of a fanatical army... all the while staying one step ahead of a mysterious woman known only as Quil. Time travel novels are becoming something brand new on my shelf, not to mention already taking over so much space over the other genres. Scott K. Andrews novel is heavy on the time-travel - in an amazing way - and the time spaces that the book covers are propelled into the past and future at the strike of a match. So I was definitely eager to get started on a new thrilling adventure. There's Jana, a girl from New York in 2141 who gets pulled to the present day after she jumps off the top of a skyscraper, Dora; a young servant who finds herself pulled forward in time when she tries to help a dying woman who is severely hurt at the place she works, and then there's Kaz; a young boy that finds both of them where Dora works. They all have different outlooks on what the world is at their current "times" they existed, like who was king and what the future and past is. They wonder why they were drawn together, but soon find themselves delving deep into a complex and mysterious world. Knowing they can only do this together, they band together to uncover the truth of what brought them to the same time and why. TimeBomb was a fast-paced, astounding novel that races in time, weaving into mystery and what lies within time itself. As the first book in a trilogy (yay! ), we aren't given all the answers just yet so some things were left a little complex, but that's what I love about it - there's still so much to the story that is out there and I'm excited to learn what this means for the characters. My favourite character was Jana who stood out to me a little more than the other characters and I felt like I connected with her more than Dora or Kaz, although they were each in turn interesting and far from standard characters. 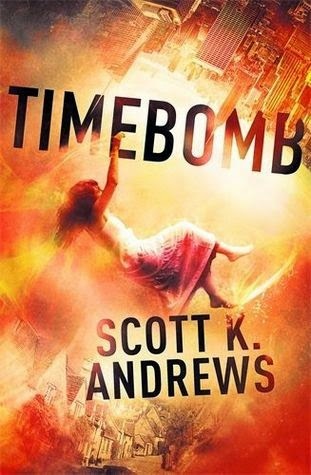 TimeBomb was filled with enigmatic, thrilling parts and I wasn't bored at all reading it - my attention was fixed on the rushes through time and the fast-paced action that followed. Overall, TimeBomb is a novel you don't want to miss, time-travel fans. It'll leave you wanting to race through time to read the whole trilogy before it's out. 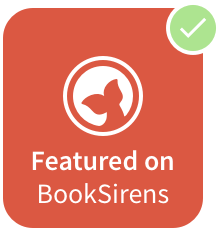 Time-travel fans and dystopia fans will love this change of genre! What did you think of TimeBomb? I don't think I've ever read a time-travel novel (or at least not in years!). What would you suggest? I would recommend Pivot Point by Kasie West as my favourite time-travel novel (my review for it is here: http://prettylittlememoirs.blogspot.co.uk/2013/11/book-review-pivot-point-by-kasie-west.html) and also The Here And Now by Ann Brashares (http://prettylittlememoirs.blogspot.co.uk/2015/02/book-review-here-and-now-by-ann.html) is an amazing time-travel read! I haven't read this one yet; I'm not really all that familiar with this book, to be honest. I do enjoy time travel books from time to time, and this one sounds like it was done quite well.